Filled with perks, our community at Orchard Meadows invites you to take advantage of an extensive list of community amenities. 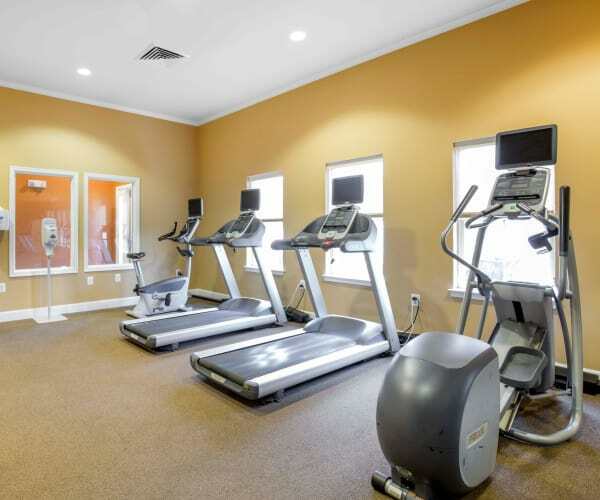 Save money and forgo the gym crowds with our 24-hour fitness and cardio center ready to host your daily workout. Adults and children alike will appreciate the sparkling swimming pool and the many available lounging options on the sundeck. We even have a yoga studio, fire pit and an outdoor kitchen with gas grill. If you must keep your nose to the grindstone, we can help with that too. Our onsite business center will help you focus on the bottom line. Experience a sense of home like never before and enjoy the many perks of our community. Contact our friendly team to discuss which floor plan is right for you.